The deadline for this application period has passed. 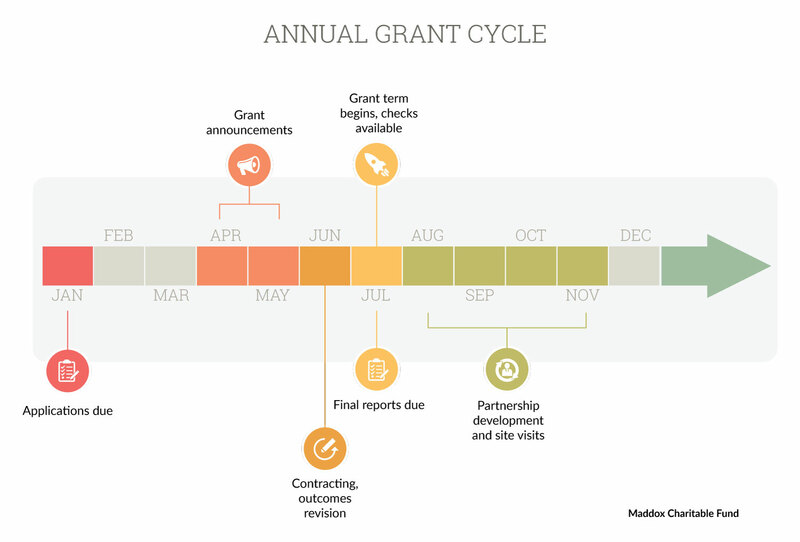 Our next grant application deadline is January 15, 2020. Download an application template for Microsoft Word. If you are new to our grant system, please visit our new applicants page to set up your account. The Maddox Charitable Fund offers extensive information about our interest areas and priorities on our FAQ page. It is beneficial to read the FAQ before submitting an application. If you have questions after reading the FAQ, feel free to call the office at 615-385-1006 or email our staff. An appointment is not needed for a phone conversation; we are happy to talk with you. Because your GivingMatters.com profile is up-to-date, the Maddox Charitable Fund only needs one form in addition to your narrative proposal. Please download the budget form, complete, and upload into the online system. The Maddox Charitable Fund will offer budget workshops for nonprofits wanting clarification on budget issues. We encourage new applicants to attend a workshop, but it is not required. If you would like to attend a workshop, email Joseph Gutierrez with the date you would like to attend. Please limit attendance to 2 people from each nonprofit as space is limited. We also have a budget tutorial video online if you’re unable to make either date. The Maddox Charitable Fund requires all grantees to have an up-to-date GivingMatters.com profile. For questions about Giving Matters, visit our FAQ page. The Dan and Margaret Maddox Charitable Fund serves 41 counties of Middle Tennessee listed below. Programs must operate within this geographic area.